The 10' (3.0m) Cat6 550 MHz Snagless Patch Cable (Purple) from Cables To Go features a snagless design that in addition to preventing snags during installation also provides strain relief ensuring a durable long-lasting cable. 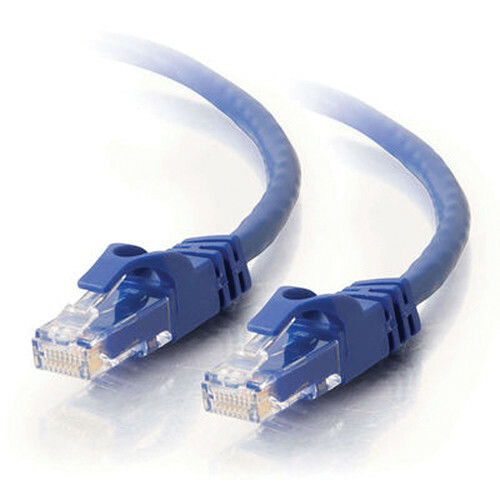 Box Dimensions (LxWxH) 7.9 x 3.1 x 1.0"
10' (3.0m) Cat6 550 MHz Snagless Patch Cable (Purple) is rated 5.0 out of 5 by 1. Rated 5 out of 5 by Uncle Donald from They are cables and they work. Have had no problems with Cables to Go cables.